Alientech Training, Alientech Car tuning Training Courses and Software from Viezu. Approved Alientech Training from the Viezu Technical Academy ? offering car tuning courses and training on the Alientech tuning and software packages around the world. Viezu are the worldwide leaders in vehicle tuning and ECU remapping, and offer the highest standard of bespoke tuning files for both petrol and diesel engines. Viezu are not only a premier tuning company though, we are also the approved supplier of Alientech tuning tools, cutting edge Alientech tuning software, and innovative ecu remapping tuning systems. 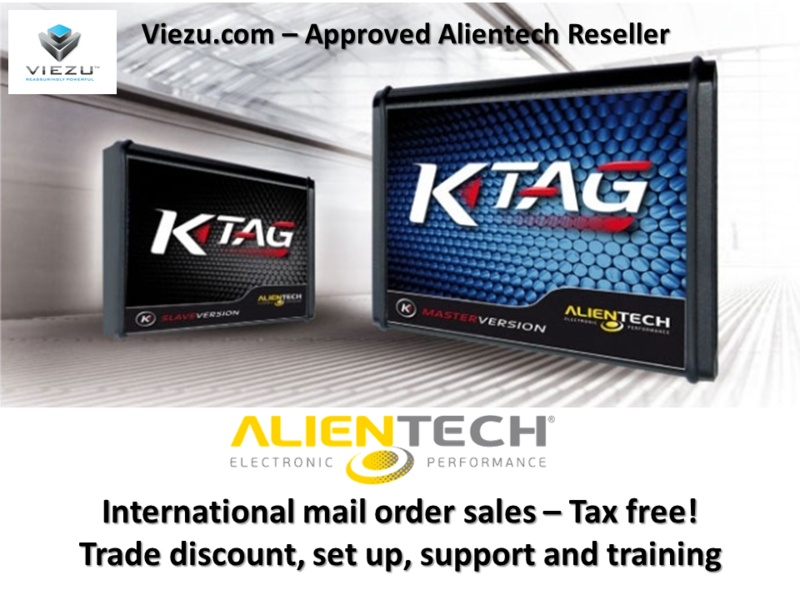 In addition, Viezu are the only approved training and tuning provider to offer Alientech Training and tuning courses, on both the Alientech OBD Kess tuning system and Alientech K-tag training and bench tuning solutions. Viezu stock an extensive range of Alientech tuning tools, equipment, and Alientech software . For client dealers Viezu also offer free tuning tool set up and training to ensure a hassle free and comfortable start to your tuning longevity. And for Alientech master tuners, Viezu offer an extensive range of Master tuning training, tuning file writing and ecu remapping courses.